ClassPass has nabbed an entire cruise for their first-ever fitness bootcamp at sea. The four-day, three-night fitness takeover will run from 7th through 10th April (a Sunday to Wednesday) — departing from Singapore for two port of calls, namely and Penang and Langkawi, before making the trip back to Singapore. Attendees are set to board the Genting Dream, a two-year-old German-built cruise liner with 142 suites. Facilities include 35 gourmet spots, spas, and a Zouk club. For the adventurous, there’s a water park, a rock climbing wall, rope courses, and a zip line which leaves you hovering over open waters. A look at the fitness schedule on Dream Cruises’ website. We’re looking at a wide array of workouts. For instance, there are high-intensity barre classes by the local boutique studio, WeBarre, which happens to be perennially booked out on the ClassPass app, week on week. 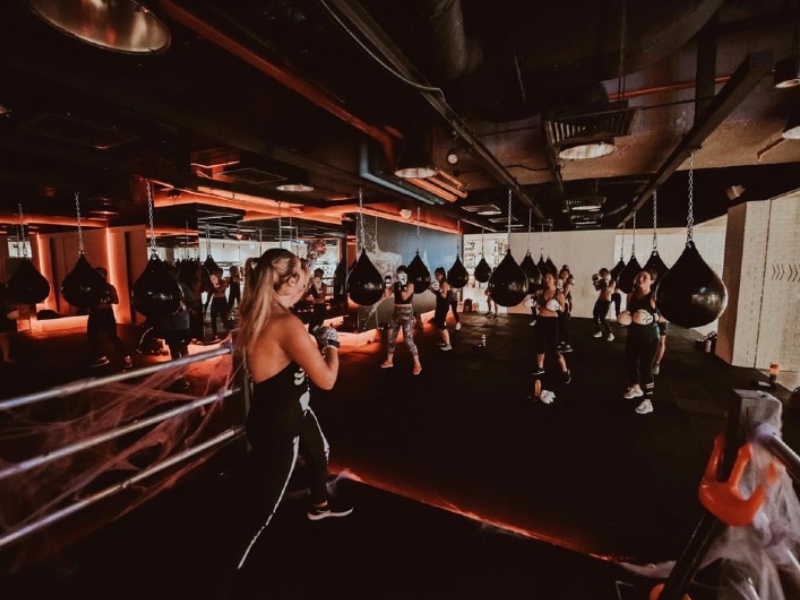 Then there’s the Muay Thai and Jiu Jitsu studio, Impact, offering MMA training; calorie-burning circuit bootcamps by the outdoor studio, FITPIT; cardio-boxing by STILL Boxing to strengthen your heart; isometric strength training from mat pilates; and a heart-pumping flow by the local yoga studio, Yoga+. An image of boxing classes on STILL Boxing’s instagram account (@stillboxingsg). The prices: a grand total of S$952 for two pax, inclusive of a standard room, WiFi, meals, and all fitness classes. The ClassPass Fitness Takeover Cruise is now open for bookings.